Exactly! It was obvious to anyone with a brain what happened to Saddam’s WMD back then. We knew he had WMD. He killed tens of thousands of Kurds with chemical weapons. Assad was the only friend Saddam had in the region, Iraq shares a border with Syria, and there was an unusually long convoy of trucks seen heading into Syria during that time. 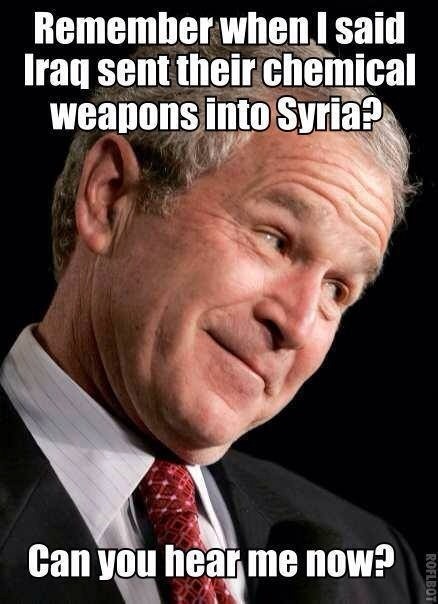 Since then WMD have been found in Syria with Iraqi markings….